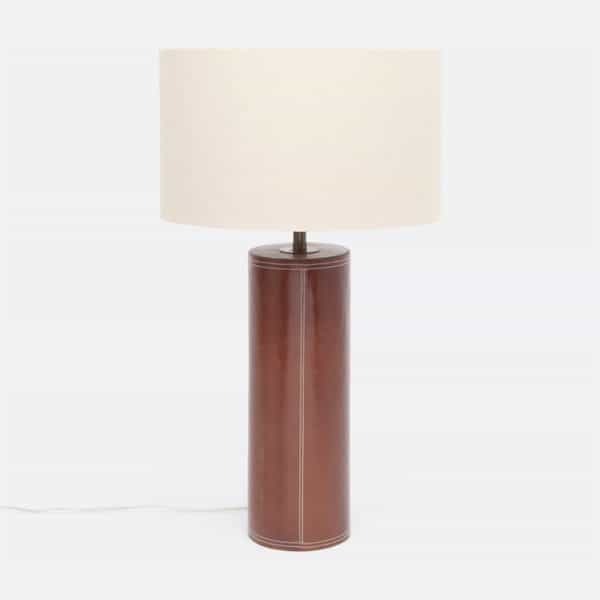 Tobacco leather covers the round column of the Hans Table Lamp. The simple stately lamp, perfect for a study or library, boasts leather contrast stitching. Slight differences in color and texture are characteristics of this leather.